On Monday evening Belleview (Fla.) four-star offensive tackle Michael Tarquin‍ flipped his commitment from Miami to Florida after officially visiting Gainesville over the weekend, his fourth trip to Florida in just over a month. 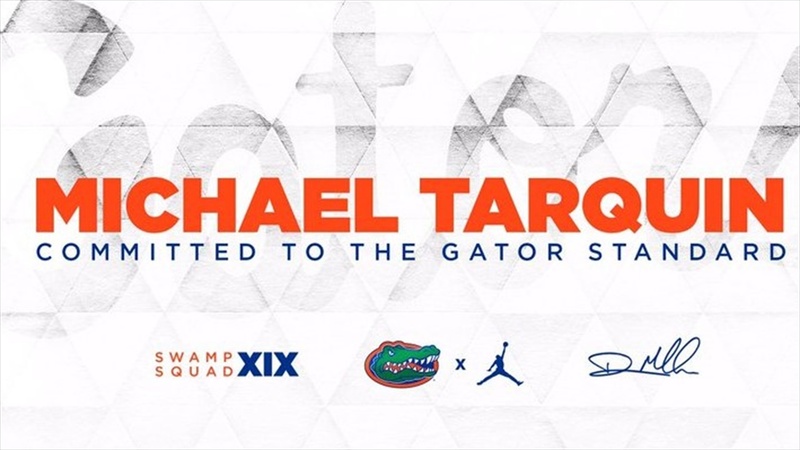 Targuin joins Kingsley Eguakun‍, William Harrod‍, Riley Simonds‍, Ethan White‍ and Wardrick Wilson‍ on Florida’s commitment list, giving the Gators six offensive linemen pledges. With UF set to lose three (Martez Ivey, Fred Johnson and Tyler Jordan) starting offensive linemen to graduation and perhaps a fourth (Jawaan Taylor) to early entry, the Gators are in need of restocking the position with both quality and quanity. Florida is still pursing Deyavie Hammond‍, Ira Henry‍, Keiondre Jones‍ and Dontae Lucas‍.